"Before taking up her new post as a governess, the artful and ambitious Becky Sharp spends a brief period at the family home of her friend Amelia Sedley. Passive, pampered and utterly reliant on others, Amelia is the opposite of her scheming and ruthless friend. While Becky tries to ensnare the wealthy and vain Jos Sedley, Amelia desires nothing more than to be betrothed to the self-obsessed and raffish soldier George Osborne. Meanwhile, Captain William Dobbin, with his constant and selfless love for Amelia, is the only one who steers clear of any calculated romantic manoeuvrings. 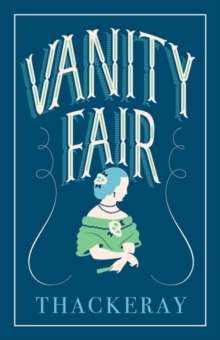 Woven into the climactic events of the Napoleonic Wars, and set against a backdrop of gaudy elegance and cut-throat personal ambition, Vanity Fair is an epic and sweeping satire, and a landmark of English literature."